Opened 1989 as Disney-MGM Studios, Disney’s Hollywood Studios is a 135 acre celebration of the many Disney blockbuster movies of past and present. It is one of four major theme parks at the Walt Disney World Resort along with Epcot, Magic Kingdom and Disney’s Animal Kingdom. Here are our latest Disney Hollywood Studios News articles and resources. New posts are added and updated almost daily, so check back regularly to stay in the know! 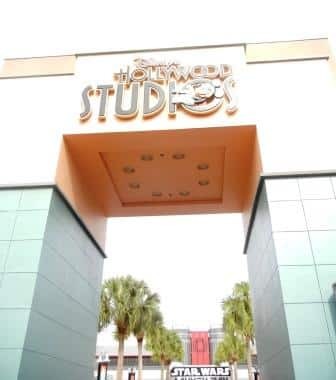 Last updated on: 05/4/18Opened 1989 as Disney-MGM Studios, Disney’s Hollywood Studios is a 135 acre celebration of the many Disney blockbuster movies of past and present…. Disney Parks have announced another installment of Star Wars: Galactic Nights, the special nighttime Star Wars event at Disney World’s Hollywood Studios. Here are the details. More details about Disney World’s upcoming Toy Story Land emerged today as we got new artwork for Woody’s Lunch Box, one of the restaurants in the new area along with information about a new Disney partnership with Mini Babybel to service it. Star Wars: The Last Jedi Comes to Star Tours! Disney has announced a new Star Wars: The Last Jedi Star Tours story line coming soon to four Disney theme parks. Here are the details. Disney announced a few weeks back that they would be re-imagining part of Hollywood Studios and combining the Muppets Courtyard and what is left of the Streets of America into a new “Grand Avenue” area of the park. Central to this plan was the creation of BaseLine Tap, a new restaurant themed as a traditional California corner pub. Clearly, no time was wasted in getting BaseLine Tap up and operational as it is now open!